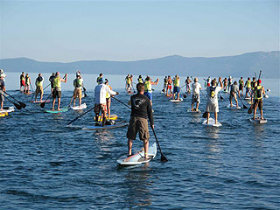 It’s the 22-mile Tahoe Fall Classic SUP race across Lake Tahoe from Eldorado Beach to Tahoe Vista on September 8-10, 2017. 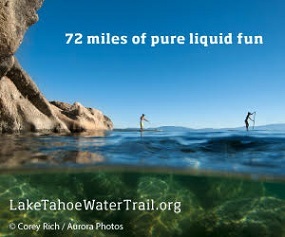 You have to respect the athleticism required to go to this length literally to paddle ACROSS Lake Tahoe. That’s 22 miles. Please note that PFDs are required. Besides a great workout for your core, the camaraderie and beauty of our mountain sanctuary, you’ll get lunch and a commemorative race jersey. Follow this link to learn more and register today!